Our PA Live! 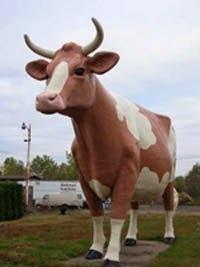 Blog of the Week this week is Buy Local PA (http://buylocalpa.org/category/blog/). Buying locally-sourced, grown, and produced food items helps the economy of Northeastern Pennsylvania. Here's a blog to help you do just that. Our PA Live! Blog of the Week this week is The Cost of the Pipeline ( http://thecostofthepipeline.com/). A blog about the PennEast Pipeline, proposed to run through eastern PA and western NJ and is projected to carry 1 billion cubic feet of natural gas per day under high pressure from the Marcellus shale regions in Pennsylvania to a terminus near Trenton, NJ. Our PA Live! Blog of the Week this week is Brian Fanelli (http://brianfanelli.com/blog/). A blog by poet and educator Brian Fanelli. Advice for poets, links to news and information about literary events, and lots of other interesting and enlightening tidbits. 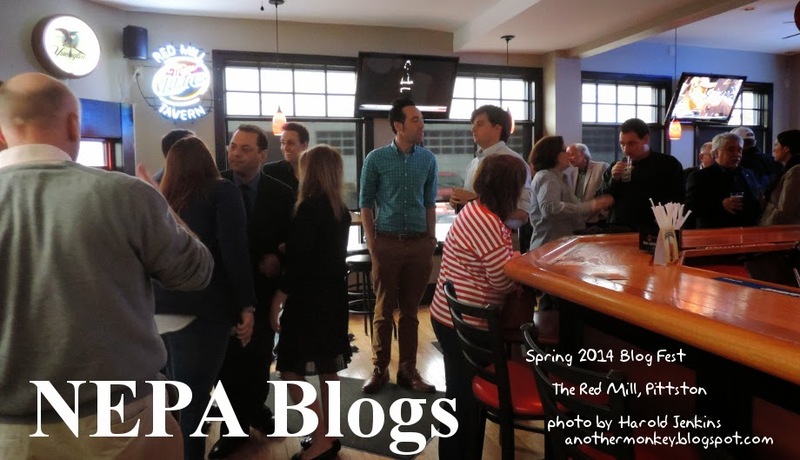 Beautiful, professional photography of people, places, and events throughout NEPA. This is the blog of the Nanticoke Historical Society, with links to other Nanticoke-related sites. Politics is Northeastern Pennsylvania's favorite full-contact sport, and since May 2006 David Yonki has been providing political news and commentary from Luzerne and Lackawanna counties and beyond on The LuLac Political Letter. Even if you think you're not interested in politics, politics affect your life. So why not keep on top of what's going on in the world of politics with The LuLac Political Letter! Some nice folks I met at lunch at the 2015 NEPA Blog Con. Where nature & art meet to entertain, educate and inspire. Fun videos and fully illustrated PDF's about art & nature - Be sure to SIGN UP for our email to receive the downloads and the full selection of free content! He's back! NEPA's foremost political blogger has returned from hiatus, just as the 2016 race starts to heat up. You can't tell the players without a scorecard, and Gort42 lets you know what the score is! The personal blog of poet and educator Bryne Lewis. The blog of poet, artist, and filmmaker Kevin Vogrin. My name is Kevin Vogrin, a filmmaker, photographer, and trainer, specializing in promotional, documentary, concert, and short film work. Over the past 10 years I made completed over 200 films. My site showcases not only commercial projects but also my personal art, as actively creating art increases skills and creativity that transfer into commercial work. Our PA Live! 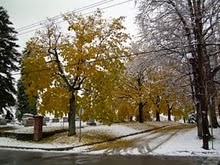 Blog of the Week this week is NEPA Scene (http://nepascene.com/). Think there's nothing to do in Northeastern Pennsylvania? Get on over to NEPA Scene and find out how wrong you are! 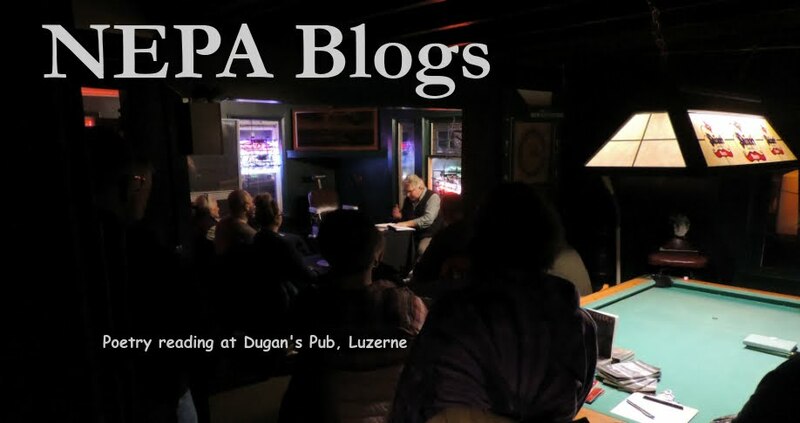 NEPA Scene is a blog and so much more keeping the world informed about great goings-on in NEPA, created by Rich Howells. 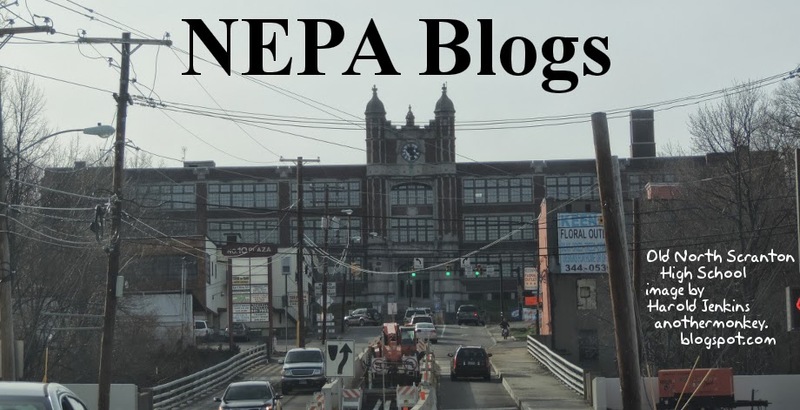 Featuring blog contributions from numerous bloggers on numerous topics of relevance to anyone interested in keeping up with stuff happening in NEPA! A blog found through a newspaper article. Our goal is to make it easier for you to find, choose, and appreciate great local foods while supporting the farmers and lands that produce them. This is a blog that I set aside a while ago for later reference. It's good to see that it's still active! The blog of NEPA musician Jenn Johnson. Information, inspiration, performance schedules, and more! If you have a blog you'd like us to link to, send it to nepablogs@gmail.com! Our PA Live! Blog of the Week this week is Darling Stewie (http://darlingstewie.com/). Personal blog of graphic designer and blogging maven Leslie Stewart. Mike Spille blogs about the route the PennEast Pipeline has been taking. he also highlights FERC comments regarding the impacts of the pipeline to real residents along the route. He also does powerful analysis of the reasons the pipeline is redundant or unnecessary. If you have a blog you'd like us to list, send it to nepablogs@gmail.com! Our PA Live! Blog of the Week this week is the NEPA Blog Con blog (http://nepablogcon.com/blog/). This is the blog for NEPA's only blogging and social media conference, being held this year on September 12 at East Stroudsburg University. Proceeds benefit the Squirrel Girls Tech Camp, promoting STEM education for girls in grades 4 through 6! With four years of sold-out audiences under its belt, NEPA BlogCon, the region’s only blogging and social media conference, is proud to announce both the start of ticket sales and selected speakers for this year’s event. NEPA BlogCon will make its return on Saturday, September 12 from 9:45 a.m. to 4 p.m. at the East Stroudsburg University of Pennsylvania (ESU) Hoeffner Science and Technology Center. Registration opens at 9:00 a.m. Tickets are available for $15 and include admission to the conference, a SWAG bag, and lunch refreshments. Get your ticket here. NEPA BlogCon is designed to bring together bloggers of all experience levels, as well as those interested in marketing, social media, creativity, leadership, and branding. It’s also an excellent event for marketers, small business owners, non-profit organizations and students. If you're a blogger, or are interested in blogging, you owe it to yourself to participate in the NEPA Blog Con! It's an excellent opportunity to expand your blogging skill set, and to meet and network with bloggers from all over NEPA and beyond. Get your ticket soon - supplies are limited! Poet, author, and teacher Brian Fanelli shares his thoughts on poetry, books, and life in general. An excellent read, especially for anyone interested in writing and the literary world. Brent Pennington, photographer, shares his art as well as hints and tips. Pizza. In NEPA. Reviewed. What more can I say? Since 2012 this site has reviewed dozens of pizza places in Lackawanna, Luzerne, Susquehanna, Wayne, and Wyoming counties. 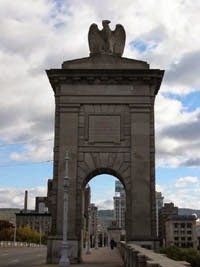 Northeastern Pennsylvania has a rich and fascinating history, and Brian Fulton shares it with us through this amazing blog. Working with clippings, photos, and articles from the Scranton Times-Tribune's extensive archives, Pages from the Past brings us fascinating snippets of local history, and history in general seen from a local angle. From the Agnes Flood to Andy Griffith, Brian features stories that are of great general interest. But he also presents the obscure as well: police blotter photos for crimes long-forgotten, images of state-of-the-art technology, and images that remind us that honors and accolades are fleeting. He turns some of these photos into a game of sorts: can you tell what's contained in this image? By engaging the public like this, he may also tease out information about the images that might otherwise soon pass away into history. Brian's been running this blog since December 2008, so Pages from the Past has amassed its own fairly extensive archives. If you're interested in local history, history as seen through local eyes, or just really neat stuff, be sure to check it out. Pages from the Past is not to be missed! Mike Burnside has been photographing nature, landscapes, and the works of man throughout Northeastern Pennsylvania and beyond for many years. He's been sharing those images on his blog, Burnside Photographic, since May 2010. What started out as one thing in February 2014 has now become something else, as Sabrina Hannon takes us along on a journey through life and death. A brutally personal blog that addresses issues that all of us will face eventually. Tom Borthwick returns to the world of blogging after an extended hiatus, full of the same drive and spitrit that made NEPArtisan one of the most popular political blogs in NEPA. 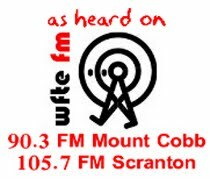 Since October 2008, Steve Albert's NCFE: Not Cease From Exploration has provided commentary regarding goings-on throughout NEPA and whatever else he has to say. As he puts it on his sidebar, "On this site I write about whatever I want, whenever I want. I don't attempt to be profound, insightful or even interesting. I simply attempt to be me, expressing whatever I happen to be feeling at whatever moment I chose to express myself." Despite his lack of effort in these regards, he somehow consistently manages to be profound, insightful, and interesting! a portrait of scranton is a tumblr photo blog, offered without commentary or explanation. Since June 2011 it has presented photographs of daily life of Scranton and the people who are living it. Since May 2007, Frank Dutton has, with almost clockwork regularity, provided images of NEPA, focusing especially on trains, waterfalls, and scenes from in and around Scranton.